I work for a government department that I joined straight after year 12. I was sent to a new work location after 12 months maternity leave, and suffering postnatal depression. I applied to work part time. My workplace didn't give me any induction training, which was fine but then a month after starting my supervisor told me to stop asking questions. This left me feeling unable to gain skills which I would have developed through induction training. I was taken from my work to have meetings with my supervisor. I was accused of not doing tasks correctly - some where fictitious. I politely accepted correction. I was screamed at and criticized. I was questioned and discouraged about breastfeeding and other parenting choices. I was told to express milk in bathroom, no time was allocated for expressing. I was threatened with disciplinary action for forgetting to pick up a key. I had people ignore me, or told me to mind my own business when I tried to enter conversations. The department has policy for workplace bullying and when I submitted a formal complaint, I was labelled a 'complainer' and threatened with dismissal. The behaviour continued after the complaint. This has left me unable to work, my PND has gotten worse. I'm unable to leave my house some days. I have contemplated Suicide. My beautiful children don't have a healthy mum. As far as I am concerned, the policy isn't any more than words on paper. I have notified parliament and if I don't get an apology, I will come public to protect women considering a career in this department. I am no longer the happy, life loving extrovert I used to be. I feel dead. The news papers can publish my story one day because I feel like I could not be any more humiliated or broken than what I am now. That is such an awful story and yet so typical of some workplaces. The first thing that struck me was - 'get out and get your health back!'. No workplace should ever be allowed to affect your health to the degree that is has for you - and fighting any workplace bullying can be so detrimental to your health. I don't know what your laws are like in NSW, but in NZ we have legislation that may, and I emphasise 'may' as I am not convinced - that providing you can demonstrate that the workplace has affected your health - because of stress from the workplace, you can be compensated, or the employer may be fined. Sometimes getting out is the only option. The situation you described is quite deplorable. Unfortunately, it is also a common problem in our workforce within the U.S. This particular mind-set exists because workers live in fear about not having enough goods to live on (the goodies), and as a result, they become cruel and highly ruthless. Please do take heart and see yourself as valuable, because our self-worth is not based on our employment, but in loving ourselves and steering our families and our children in the right directions in life. Jobs will always exist, but our children need us to help them remain stable, and to give them guidance! Your family is worth being happy about. Choose happiness! You also have choices of looking for employment elsewhere. Your next job can be something you never dreamed you could ever obtain, but yes, you can obtain it. I'm so sorry that this is happening to you. I also am being harrassed. It's been a fight for ten years. When I "ratted" on a man who had sexually assaulted a lady, then inappropiate touching with me, I was called "a threat". My day shifts were taken, and I was called upstairs to head office. The boss then cleared me, said I was said up and the assault could not be proven. Shortly after this, this same man was sent to my office in which I worked alone, monitoring cameras, and I was to let him in for the next 10 years. (He was the man who had assaulted me) I had already been accused of being "a threat" although never was told who said I threatened them.....Finally, after 14 years of isolation, and this man coming to my office behind 2 locked doors, I blew. And I blew at an anger management meeting...I called them all bullies, and said that's what were in this buiding. I've been intimiadated, yelled at, lied and slandered about and isolated in my office for 14 years. I was left out of all gatherings, and I had to climb a ladder to see the workers having barbeques outside my room, from the small window I had that I could'nt reach. I've had a guard sent down to protect other workers from me when shift changes occur. Now I have managment spread out in the parking areas as I arrived. 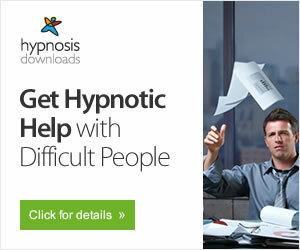 They are treatiing me, and saying I am "crazy" and delusional. Yet, one of the best phyciatrists they sent me to, understands what is happening, and asked if I could quit. When the truth does come, many of them will lose their jobs for harrassing me all these years. I am devastated that you have been through that! Nobody should have to go through what you did - nobody should have to go through any kind of bullying, harrassment or discrimination - especially within Government Departments. I think that Bullying and Harrassement policy and Grievance procedures in Government Departments only work if Senior Management following them practice good codes of conduct themselves. My partner went through a similar experience in a Government Department. He was left on probation for over a year and each time he raised his concerns about his work and how he should address possible issue, his direct supervisor ignored questions about it. My partner also politely accepted correction and tried to overcompensate by working extra hours like holidays and "away from home jobs". He was constantly called stupid and lazy (among other things) by his direct supervisor in front of other colleages. He got insomnia, started to get stomach and lower back pains, his teeth eventually started chattering uncontrollably, he never ate and was always angry. Another staff member mistook all of these psychological injury symptoms as being either alcholic or drug related, which just made the circumstance worse. When my partner eventually made an official complaint regarding the probation issue, along with other bullying/harrasment issues to the HR department, they dismissed the probation as an "oversight" and ignored all other bullying/harrassmet issues raised. When the "internal investigation" was conducted by an "unbiased" third party, my partner was provided with reports that showed inconsistencies in findings, missing information from reports (especially where a witness had supported the bullying and harrasing behavious) and was also threatened with dismissal. It seemed the more my partner tried to follow "procedure", the more he got bullied. Strangely enough also, the departmental house my partner still had a lease for (but was not at the time living there due to having to regularly see a psychologist from the trauma caused by the bullying) was searched by the small community's local police, who just happened to be friends with his direct supervisor. My partner was neither notified of the search that was conducted, but found a warrant when he returned to move out. From what I've seen, "harrassment/bullying policy and procedure" is a shield to hide behind - making it easy for unethical behaviour by Senior Staff to be swept under the carpet ... because who really can take on a Government Department (or get them to see the wrongs) when unethical Senior Staff are behind the wheel? Stay strong, and no matter what happens, you will always have the truth - and that is something [they] will never have or be able to take from you!!! That is such a horrible experience for you. If this type of "bashing" was physical they'd be charged & locked away. Unfortunately the insidious practice of psychological bashing is explained away as a personality conflict & the perpetrators have no case to answer. It's so unfair that good workers are run out of their jobs by these monsters. 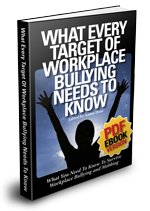 In my experience narcissists and bullies collude to make a workplace a living hell for their chosen targets. I've researched every way I know how to change what I do to make this stop, unfortunately from what I've read it's good people who are kind, polite, willing to learn, learn quickly and work well that become the targets. They're not part of the " mob" because they know right from wrong and refuse to join in the bullying. I have just left a WA government job after only 2 months. Being loaded up with work then berated for starting early or finishing late to get it done, working through lunch to have an "urgent " task completed to be told it's oh it's not that important now. Coerced into taking PERSONAL responsibility in a written letter for a legal decision management made with 2 very prominent Australian resource companies and made to sign it. This was not my job and I did not get paid $100 000+ the deciding manager did to take responsibility for State legal decisions. No training given, pens thrown at you, yelled at for an error in my first week, refusing to answer questions I had about my work. This was all from 2 Managers and 2 co ordinators. The very people I'm supposed to report to. The last straw for me was watching 2 managers bully a 50 year old man into bullying me by overloading me with the Managers work while they read the paper, walked around the office talking about themselves or went shopping. We are paying these people $100 000 + each! out of the tax we slug our guts out to earn & absolutely nothing can be done about it. I was a level 2 on contract for 8 months, hardly the best candidate to take on 4 managers who had been in their jobs 20+ years.